My Husband and I were so blessed to have Trendy Fun Party helping us with the decoration of our Wedding. The color wasn’t easy to find but Monica and her crew took the time and effort to look for the table runners they were the exact color and perfect size! They did all the flower arrangement including my bouquet. We had candles in every table, so it was very romantic looking. We can’t say enough to thanks Trendy, We used a fabric canopy for the ceremony, and they did that as well. Awesome Service. We will recommend Trendy Fun Party to all my friends and family. 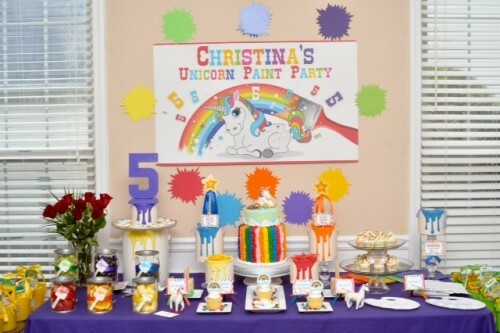 We loved the ideas, decorations and cupcakes that Trendy Fun Party put together for my daughter’s 5th birthday party. While I had seen some examples online, what Monica put together was better than we could have imagined! Our guests were impressed and asked how we came up with such an original idea. She made life-like Brave cut-outs, a poster for the attendees to sign, and personalized every detail with my daughter’s name for her party. The attention to detail is what stood out and made this such a memorable event. Thank you, Trendy Fun Party! Thank you so much for the AMAZING Minecraft decor & treats that you designed for Will’s 5th birthday. You have a great talent, Monica, & we were so pleased with your work! I could tell that you poured your heart into everything you created so that it would be special for Will. The party was a hit! . We ordered a two-tier cake with liqueur mini-cupcakes for a rustic-style engagement party for some of our closest friends, and it was absolutely amazing. From the gorgeous, handmade custom decorations on the outside to the exquisite flavor combinations and moist cake on the inside, it was one of the best cakes we have ever tasted! Normally, cakes are either beautiful or delicious, but this one was both. All the guests loved the cake, and the mini-cupcakes added to the table both visually and in flavor. I would recommend Monica’s work at TrendyFunParty to anyone. 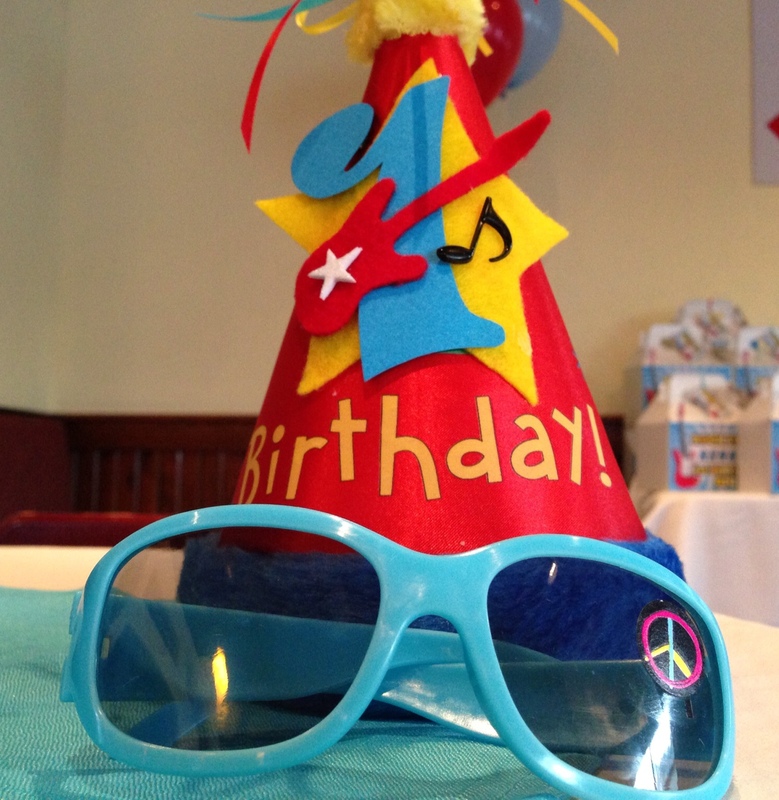 We contacted trendy fun party after seeing a beautiful cake they made for a birthday party. From the first time we talked on the phone Monica was very helpful and full of wonderful ideas to make the party for our little girls even better that we had ever imagined. We worked together to design the party that I had envision but I can honestly say that she made it much better than what I had imagined. Monica’s attention to details and her creativity made everything so beautiful and delicate. 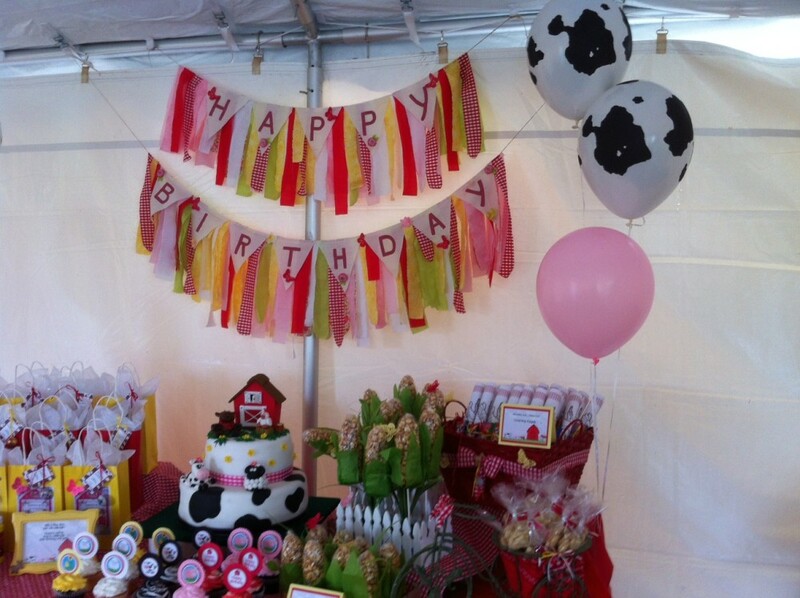 The party favors, the decorations and the amazing cake she made for our farm themed party were so beautiful that all our guests were really impressed and many said it was the cutest party they had ever seen. Unfortunately we had lots of rain the day of the party but Monica made sure that even with all the rain and the last minutes changes we had to make everything worked out and we were able to do everything we had planned. She worked really hard to make sure every little detail was perfect and at the end we had lots of fun and my daughter’s enjoyed every minute of it. Trendy Fun Party is definitely the best place to go to if you want an unforgettable event and we will definitely be working with them for every party that we will have from now on. Thank you Monica for making my daughter’s birthday so special! I had planned a surprise party for my mother of 92 years old. My idea was to make a vintage decoration, something rustic and simple. After having searched many options, finally found a Trendy Fun Party by a recommendation from a friend. I’ll never stop saying, trendy was the best decision we have made​​. After seeing the results, the flawless execution of ideas, I can say that the result I was more than expected. What I most appreciate of Trendy Fun Party is the care they provide, the ability to design and professionalism. I think that the secret of successful results in what they do, is the passion and the love they have for what they do. Once again thank you, thank you, thank you. We’ll be in touch, hoping we do more events together. 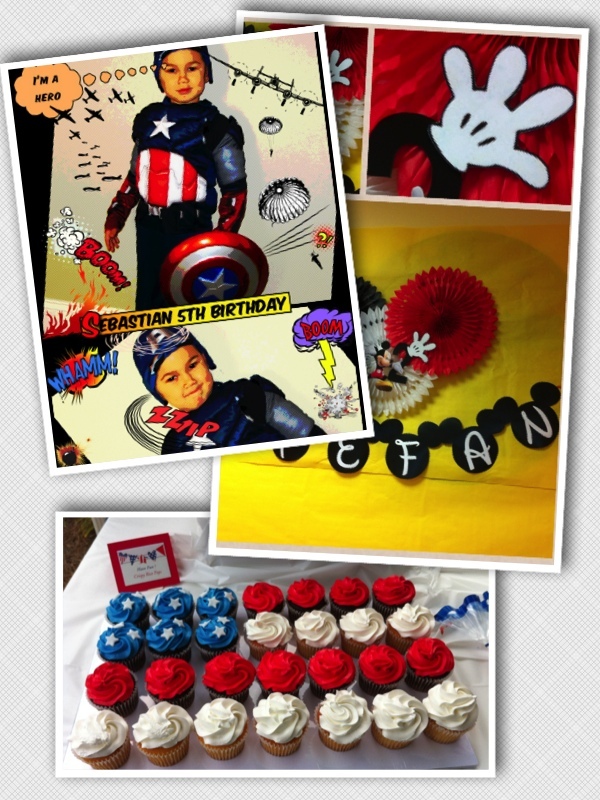 We had the most wonderful birthday party for our son rehan’s 1st birthday, organized by monica salcedo of trendy fun party. we wanted to do a rockstar theme and monica worked day and night and made everything fantastic and possible from decoration to cake to party favors, in details all on rockstar theme. it was more than what we expected. cakes were very good too. all the children and guests had a great time and appreciated us. overall it was a great party. that we and rehan will cherish forever. thank you monica for making all that possible. we look forward to do more parties with you in future. Monica at trendy fun party is wonderful to work with . She listen to what you want & takes it to the next level. 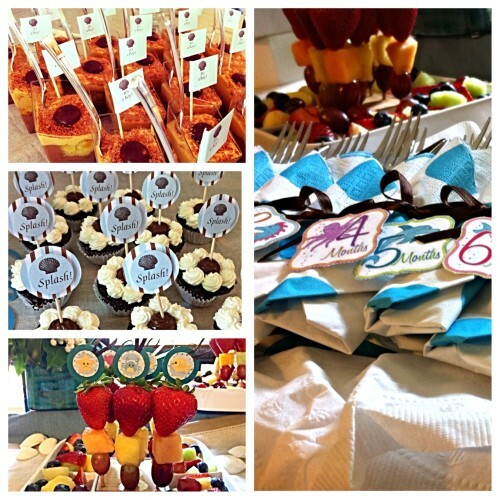 Her parties our very detailed & have a lot of personal style. She works with all budgets but still gives the personal attention. So far I have done three parties with her & I always get rave reviews from all my guest. I will be working with her for years to come for all my parties. Trendy Fun Party owned by Monica has planned several parties that my daughter has been invited to. The last one that we went to was in October ‘13. The party had a very beautiful color scheme with purple and yellow. There was a very creative and unique table setting and decorations with homemade cupcakes, cake pops and a large cake surrounded by chocolate kisses. Monica’s creativity and detailed work is absolutely amazing. You can really feel and appreciate the passion that she has for her work. If you choose Trendy Fun Party for a private party, make sure that you order the “cake pops” as a side item. I love them. It was the perfect size for me and was delicious. It was covered with chocolate on the outside and it was red velvet cake in the inside. I had the first bite and it just melted in my mouth. It was so moist and flavorful. I don’t recall having anything like this before. Monica is a great party planner. She shows her passion through her work, she has great customer service and several years of experience in the field. I sent Monica a picture of a rainbow unicorn cake my daughter wanted for her 5th birthday party and she made it exactly like it. Her attention to detail is incredible! Everyone loved it and complimented it throughout the party and after cutting the cake, it was gobbled up within a few minutes! 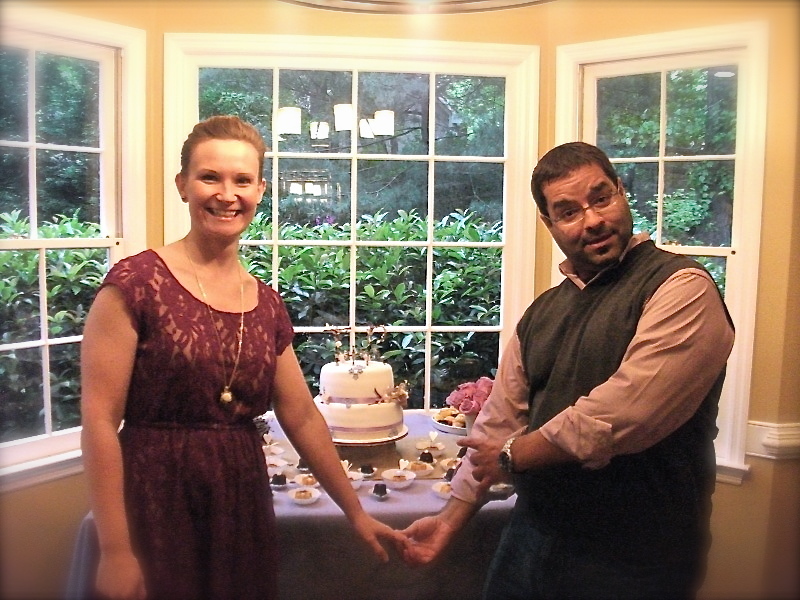 All I heard was how delicious and moist it was….the rainbow cake was amazing in every way. Monica’s work speaks for itself…truly excellent! Thank you! Best wishes.